Lactose intolerance? The Lactose Navigator! If you suffer from a lactose intolerance, eating too many dairy products results in abdominal pain, flatulence, and diarrhea. After the diagnosis, at least you know how you can handle your symptoms. 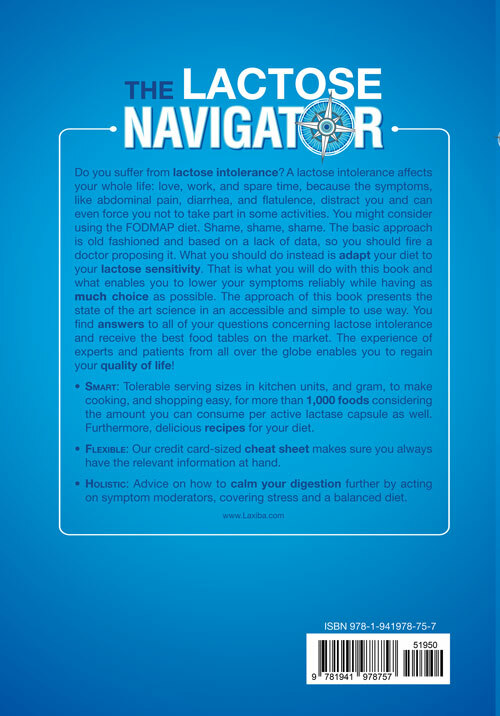 The Lactose Navigator shows you, which products contain lactose and how much of them you are still able to stomach. Thereby, you calm your digestion and increase your choice concerning dairy products, as you no longer have to avoid them completely. 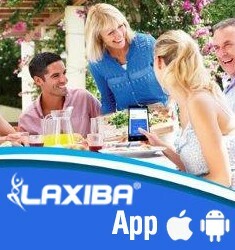 Why choose The Lactose Navigator? Have you only just learned of your intolerance or are you assuming that you have a lactose intolerance? In both instances, The Lactase Navigator helps, first with the diagnosis guideline including a self-test if your expert does not offer a breath test and with simple and illustrated explanations of what a lactose intolerance means for your intestine. Aside from responses to the typical questions, a collection of best practices from experts and long time patients provides you with valuable insights. Below, you can also find The IBS Navigator, which is the right book for you, if you continue having symptoms despite your lactose diet. In it, you find the tolerable portion sizes for the ingredients called fructans and galactans, which often additionally trigger symptoms in people suffering from a lactose intolerance. The tables in that book are set up for those with combined intolerances. Our delicious recipes show you how you can handle your lactose intolerance in an ideal way. What is more, a good plan only succeeds by proper execution—you only need one lactose diet, the one that you keep. Therefore, the book also shows you how to motivate yourself to stick to your plan and shows you how to act when you eat in restaurants or when participating in events. Our cheatnavi makes this easy as it fits into your purse and contains some safe foods. Another thing is that you quickly find alternatives as categories sort our foods. Thereby, you can protect your quality of life from the potential infringements by a lactose intolerance.